Hafthor discusses his missed world- record attempt at the Arnold Classic. The World’s Strongest Man and repeat Arnold Classic champion tells all regarding his failed deadlift attempt of 501kg at the 2019 Arnold Classic. Dan Owen from Sports360 had the pleasure of interviewing Hafthor Bjornsson and they discussed everything going on in Bjornsson’s life. “I can sit here and say “Yes, I would have made it,” but I can’t say that. I know how strong I am and I know that if I would have had a perfect pull on that day in Ohio, I would have gotten that 501.In the pull I slipped a little bit, my left foot, and if the pull is not 100 percent then you’re never going to pull that kind of weight. I’m in this game to win titles. Records are constantly being broken, but no one can take away from you a title that you own. I won Europe’s Strongest Man four times, I won Iceland’s Strongest Man eight years in a row, I won World’s Strongest Man, I won the Arnold Classic in Ohio two years in a row. No one can take that away from me. But records are constantly being broken and one day I know that record will be broken”. 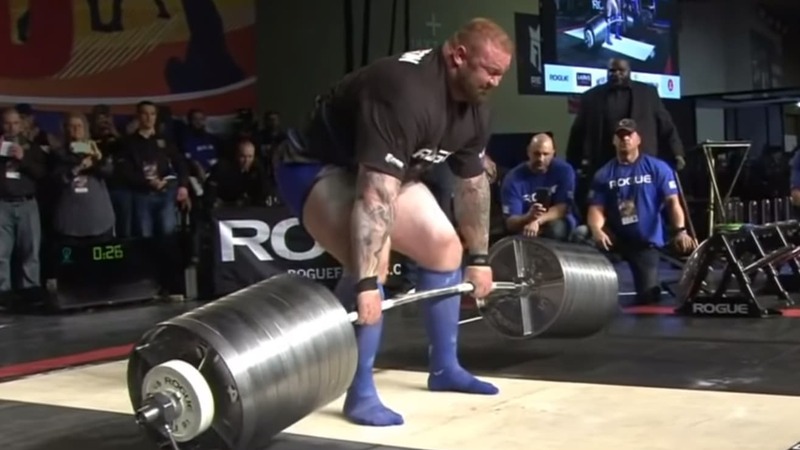 Now, Eddie Hall is the only Strongman competitor to complete a 500kg deadlift and he set the bar pretty high. But as for now, his record will stand. It’s too bad for Bjornsson since rogue was offering $50k to the man who could complete the lift. But he’s still the best right now in all of Strongman and there’s always next year!